The variety most ancient and native chocolate Agramunt chocolate is known as the stone. A type of chocolate contains only cocoa, sugar, rice flour and cinnamon or vanilla essence. Cocoa beans arrive at the workshop but as raw fermented. The manufacturing process of chocolate uses traditional technology that allows each chocolate bar is a true piece of craftsmanship. The first step to turn the roasting cocoa chocolate is it. To make roasting using a machine consisting of a large sphere that rotates on its axis horizontal; this field is filled with cocoa beans and through a guide is entering a huge stove, which is heated with wood of oak and cocoa roasting it at the bottom until it reaches the exact point toasted the point that only well known chocolatier. Then mix in the right proportions of cocoa paste out of the toaster with sugar, rice flour and various essences. The process of mixing these elements, and crushing is done subsequently performed with a mixer allowing granite imbibed the other elements. Later, the refining process takes place. An operation that gives the pasta a chocolate delicacy and impeccable regularity. Once the pasta is well refined, is placed in the "weigher" a machine that weighs the dough and separate into portions. 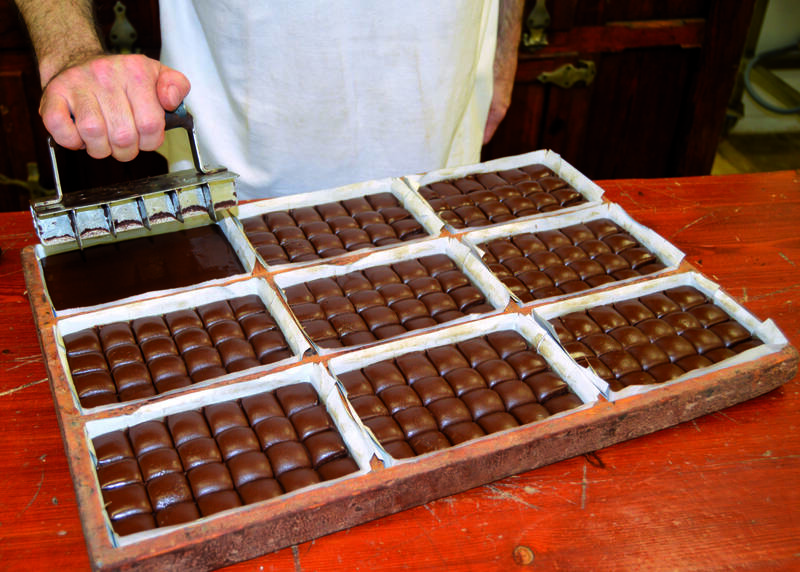 For each chocolate bar, using two portions of pasta, which entered into a wooden mold. Then, the chocolate brand (giving way to square) and filled molds are placed in the refrigerator where it will remain between 45 to 50 minutes. Finally, after this time, the tiles are ready to wrap and serve.